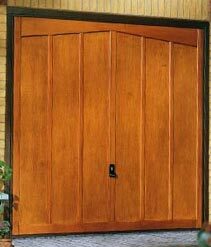 Is your garage door jammed open, has the cable come off, the spring broken or the wheels worn? Everyday use of your garage door can lead to unavoidable wear and tear, but Easi-Lift Garage Doors can provide a cost-effective solution when your door becomes damaged. However simple or complex the repair work, our specialist team of garage door engineers can fix any problem to return your door to its best. Providing professional garage door repairs across Bury St Edmunds and the local East Anglia region, we are well-established as the leading local company in Suffolk for garage door servicing, repairs and maintenance, and should be your first port of call when your door stops working. Your garage door has an important role to play in the security of your home, and if it becomes damaged, both the contents of your garage and your home itself can be at risk. This is why we offer a 24 hour emergency repair service. Whenever you need our help, we can be on hand to fix your door and secure your property by carrying out a quick and professional repair. 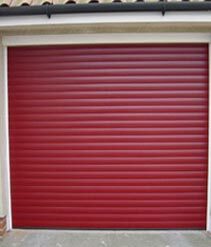 Whether you have an automated or manual garage door, and whether yours is a sectional, up and over or roller garage door, we can tailor our service to suit your individual requirements. There are a number of problems that can occur with a door, but with our help, a solution to your garage door problem is only a few steps away. If you want to ensure that your garage door makes a stylish and functional feature of your property for many years to come, we recommend that you invest in professional garage door repairs in Suffolk from Easi-Lift Garage Doors.